She may be the queen of the box office, but she completely failed her most recent red carpet. Meryl Streep attended the Into The Woods London premiere, but her choice of outfit is better suited for the woods than a red carpet. Streep wore a long, brown coat with textured pleating throughout for the premiere at London's Curzon Mayfair that resembled either zebra stripes or maybe rippled lines in the dirt, and honestly — it's kind of cool. Design wise, that is. Structurally, though, the oversized coat was far too large for the actress' small frame and it completely enveloped her, leaving the 65-year-old looking like the coat swallowed her up and ate her alive. I'll give her props for the beautiful bronze color, though. Streep accompanied her monster coat with dangly gold earrings, slim black trousers, a black clutch bag, and black pumps. 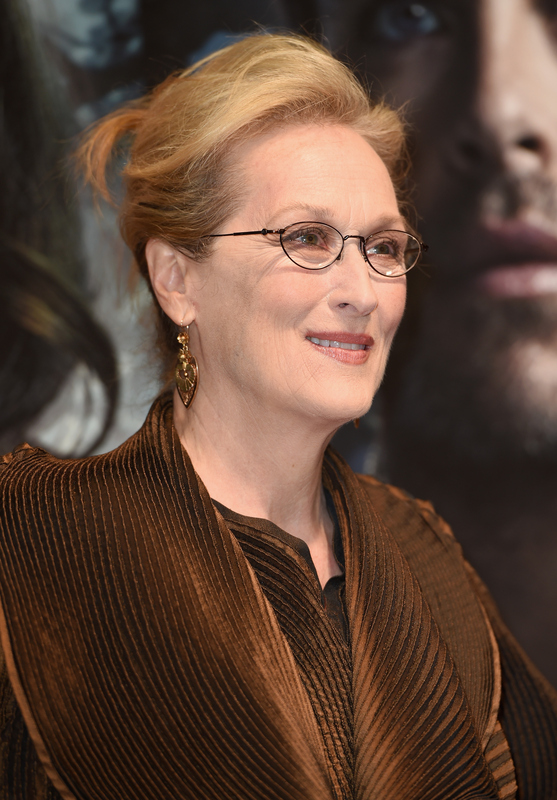 Though the whole look was pretty much a disaster, it never fails to shock me that Meryl just never ages. I mean, seriously. Look at how beautiful her face looks! And with a film reputation like she has, she's totally entitled to blow a red carpet every now and again. Let's just hope she steps up her game for the Golden Globes on Sunday.